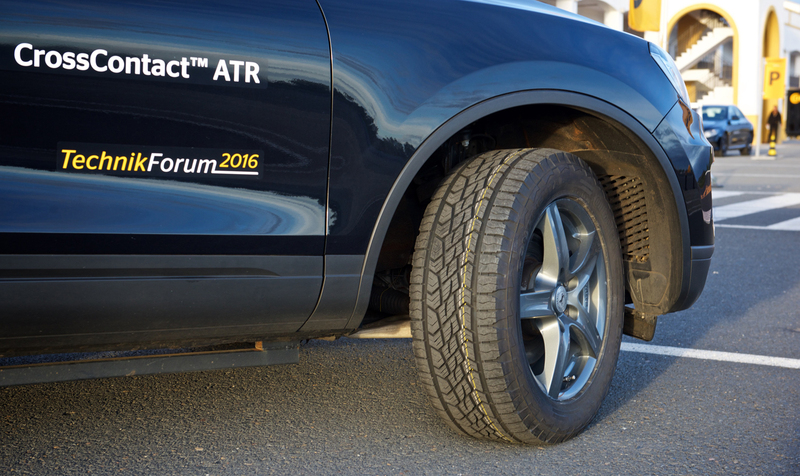 Continental’s SUV tire portfolio has been rounded out by the new CrossContact ATR. When designing this tire, Continental’s developers opted for a blend of properties that deliver safe on and off-highway driving. The advanced silica compound, for example, offers good grip even in the wet and angled sipes in the tread blocks ensure faster water dispersion on wet roads. 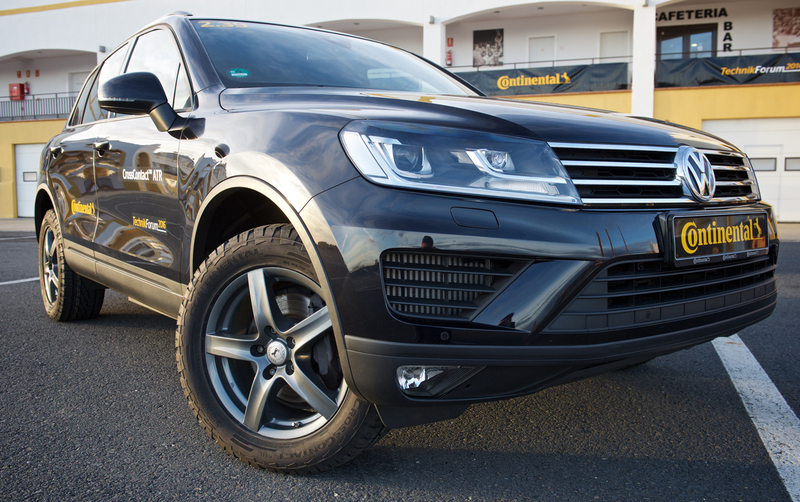 As a result, even on wet and slippery surfaces the new SUV tire provides very good grip and safe braking properties. A noise barrier – in the form of small bars between the blocks in the tire shoulder – reduces tire/road noise from the side of the tire, making for a quieter ride. For good off-road grip the tire developers have equipped the CrossContact ATR with special “grip teeth” between the grooves, as well as an open tread design with a large number of sipes. This tread pattern delivers additional traction and reliable grip on loose surfaces. When traveling over more uneven, stony tracks the large tread blocks and robust rubber compound offer strong resistance to cuts and cracks, and stones are rapidly ejected from the grooves. As a result, the new CrossContact ATR offers high mileage even when regularly used off-road. The design of the sidewall and shoulder of the new tire features rugged tread block extensions drawn deep into the sidewall to protect against lateral damage. There is also a rim protection rib to protect both rim and tire in the event of contact with the curb or with obstacles in tough terrain. This specialist for on and off-road driving is initially available in 21 sizes for 15 to 20-inch rims and in widths from 205 to 275 mm with aspect ratios of between 40 and 80 percent. The assortment is scheduled for further expansion early next year. The CrossContact ATR is approved for speeds of up to 240 km/h and suitable for a wide range of SUVs and 4x4 models.